The American Association of Orthodontists recommends that your child see an orthodontist no later than age 7, and Dr. Hatcher of Reach Orthodontics agrees. By this age, an orthodontist can spot subtle problems with jaw growth and emerging teeth while some baby teeth are still present. Some orthodontic problems may be easier to correct if they are found early. You don’t need a referral from a dentist to see an orthodontist. To schedule a complimentary consultation for your child at Reach Orthodontics, please give us a call at (256) 772-0041. 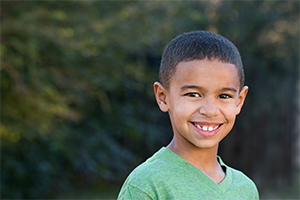 We will provide your child with an initial exam including before pictures, and Dr. Hatcher will discuss the steps to take toward caring for your child’s smile.